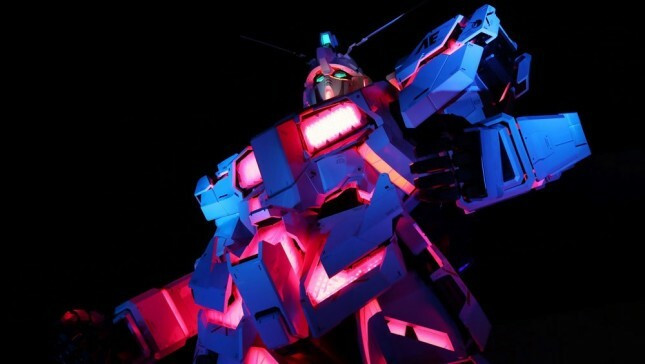 Legendary Pictures Create Live-Action Live Gundam Movie. INDUSTRY.co.id - Los Angeles - Gundam's popular anime series from Japan, a live-action movie will be produced by Legendary Pictures. Reporting from The Hollywood Reporter, Gundam movie live-action version will be in production and assisted by Legendary Pictures. Reportedly the film is in the cultivation. The good news was delivered in the Anime Expo in Los Angeles on Thursday (5/7). However, once searched on the IMDb movie database site, there is no Gundam movie title, including any crew or players. Gundam is a popular anime series from Japan produced by Sunrise animation studio. The original series has been around since 1979. The Gundam anime series is listed as one of the longest series ever produced by Japan. The Gundam story is set in the Universal Century, in an era where people are divided into space colonies because the Earth is already too full. At some point, people from space colonies are at war with populations on Earth. But the war was not human, but a manual-controlled robot. Serial Gundam is also widely produced in various formats such as anime, cinema, manga, novels, toys, books, video games, and so forth. Meanwhile, Legendary seems to be busy making live-action movies like Disney. Legendary is also the studio behind Pokemon live-action, which is also based on Japanese popular animation.